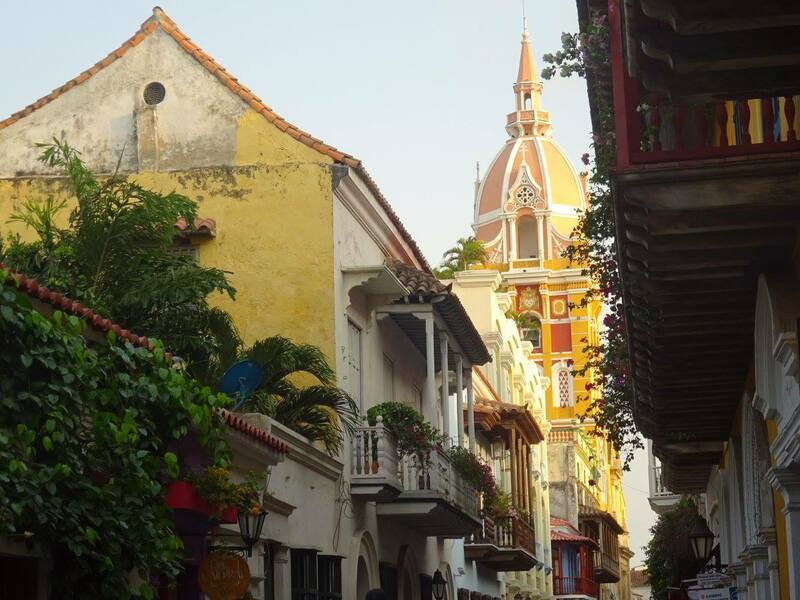 A week-end in Cartagena – Always Look Back ! I’ve been sent to Colombia to work, and as I already knew Bogota from a previous business trip, I decided to pass the week-end in Cartagena de las Indias. I had time to enjoy the historic center, a bit around, and to go on the coast to Playa Blanca! 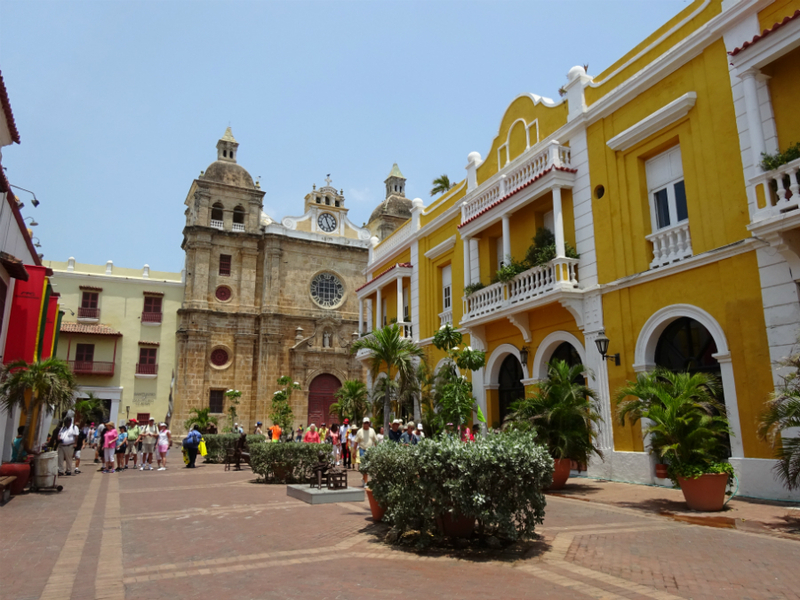 Cartagena is a little colorful treasure! I arrived in the airport early in the morning, went to the hostel in taxi to leave my bag, and had all the day to visit the center full of colonial houses, palaces with gorgeous inside patios, and streets full of culture mixed. – To dance: La Botica rooftop! – To see the sunset: Cafe del Mar on the fortifications! At noun I made a stop on a place, and met Jorge, a old columbian who offered me to walk around with me. We visited together the gold museum, the Plaza del Reloj – Clock place, the Parque Centenario full of iguanas and monkeys, and the Baluarte (bastion) San Miguel Chambacu. Then I took a Free walking tour to know a bit more about the story of the city at 4pm (from Plaza Santa Teresa, starting also at 10am). I finished the day having dinner on Plaza Santo Domingo and seing a caribbean street show, went back to the hostel and met two crazy americans (Ben & Nick) in the bar. We went out all together with other travelers, a night we’ll remember! 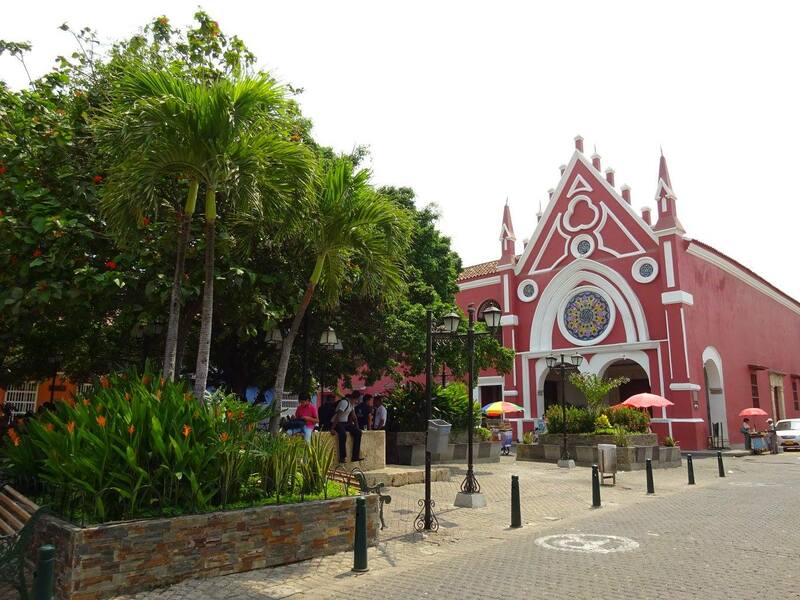 On this place you will enjoy a quiet ambience in the feet of the San Pedro Claver church (originally known as the church of San Juan de Dios). 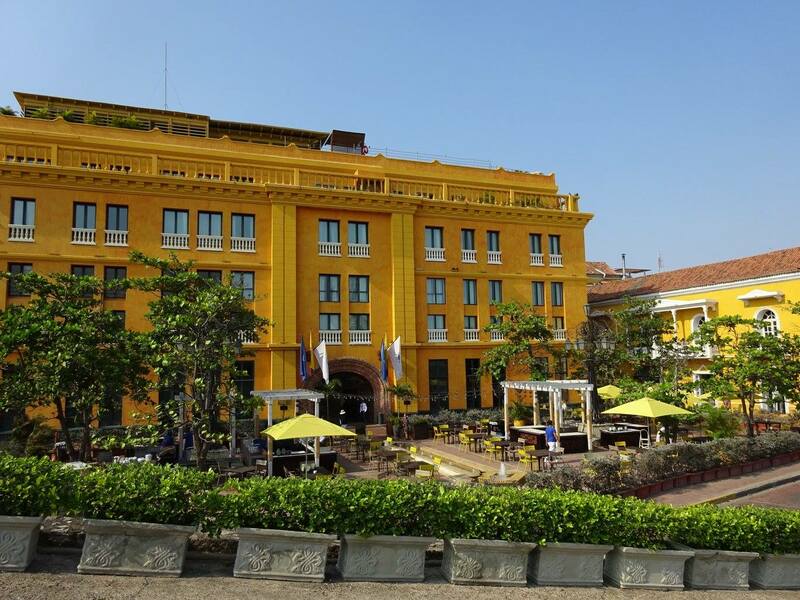 You will find some markets on this place, an red church really lovely, and you NEED to take a look inside the Hotel Sofitel Legend Santa Clara Cartagena in the corner (expensive place but with an amazing patio). 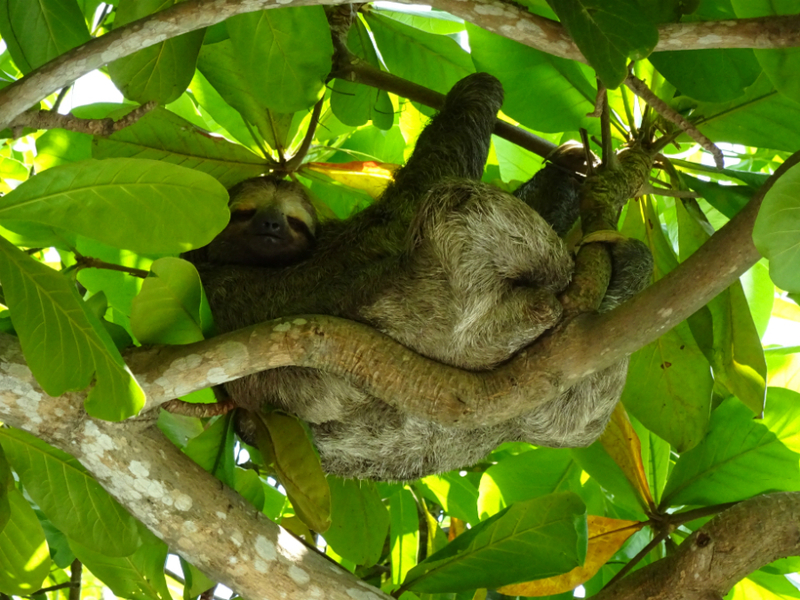 This small parc beyond the historic wall is full of sloths, marmosets, squirrels and iguanas! It’s also a green place where you can take a break from the warm weather. Start point of the free walking tour, you will find there a naval museum with an interesting map of the original city, and you can also climb here on the old town’s wall! I didn’t have time to fully visit this fort, but you surely should take time to visit it! 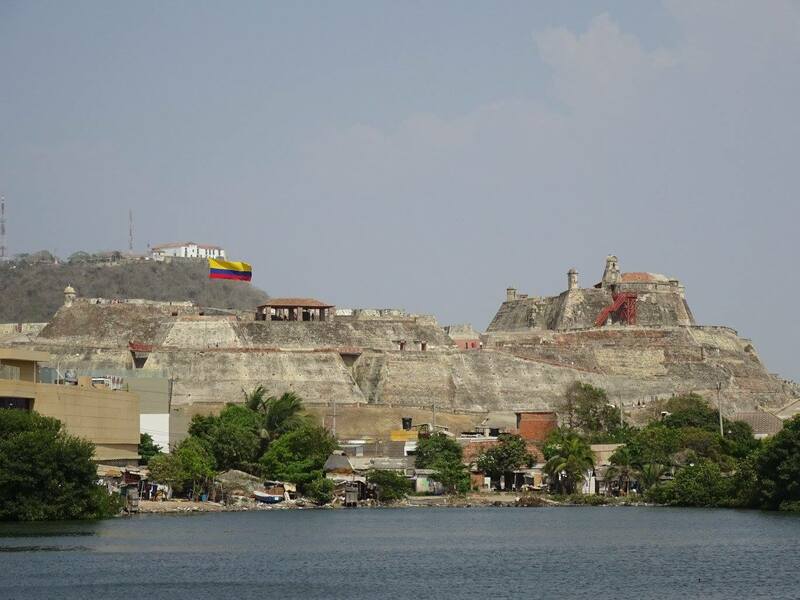 It looks to offer a really nice view of the city, and give you more informations about how Cartagena were built since the spanish invasion. 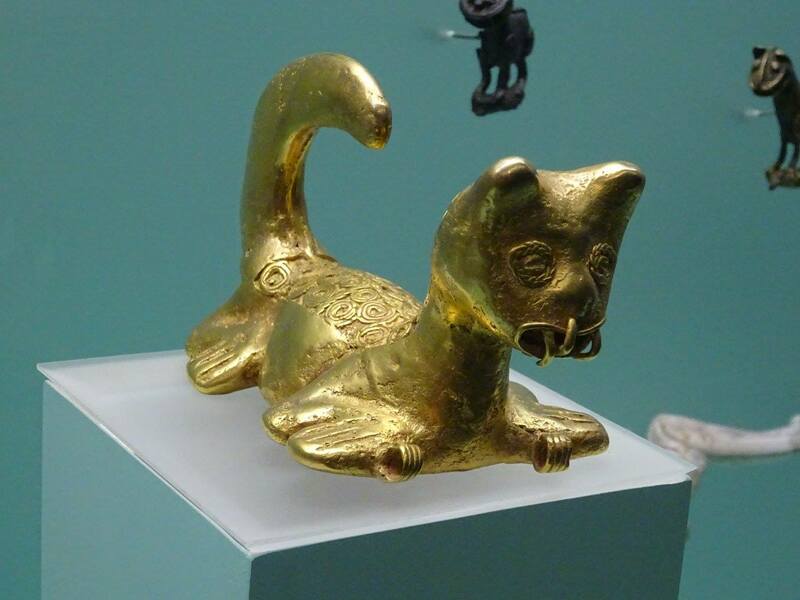 If you don’t know the gold museum of Bogota, you may like this small museum full of treasures of the Zenú culture! It’s situated on Plaza de Bolívar, and closed on sunday and monday! When I came back I had time to visit the Getsemaní area, full of street art and finished the day walking on the old city wall. Playa blanca wasn’t maybe the best choice to make, it was a too touristic. I think if you have time you should go to islas del Rosario, isla Grande, or if you have time go to Barranquilla (perfect place also for the Carnival). Thank you guys for all those good moments! Jennifer!!!! excelente todo ésto que tienes aquí. Qué maravilla!!! Te felicito. Creo que Asia te va a dar muuuuuuucho qué contar.